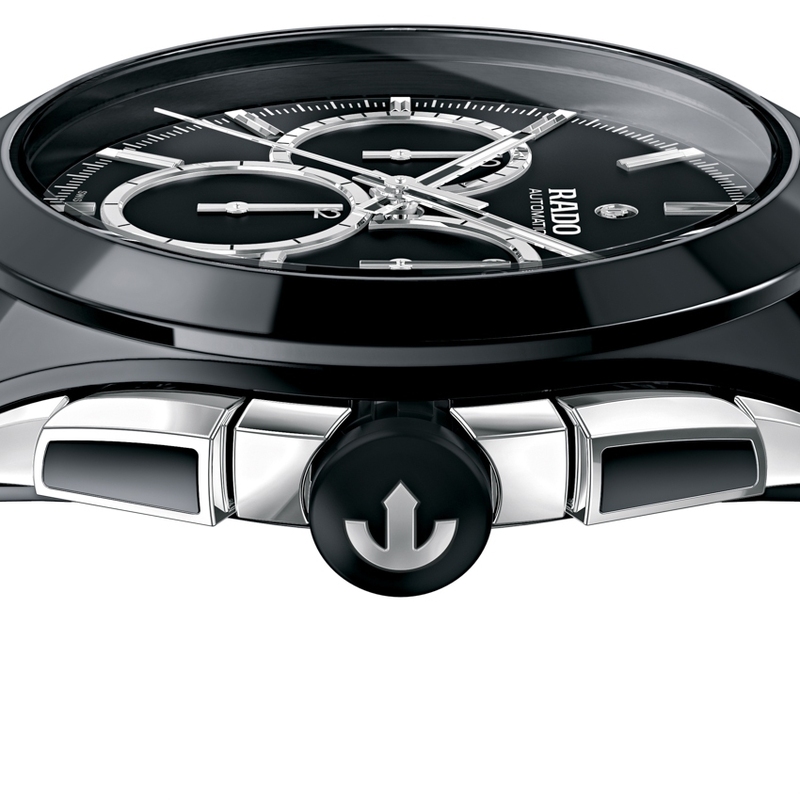 The new Rado HyperChrome Automatic Chronograph is a landmark in the history of watchmaking, as it world-premieres a 45mm monocoque case that uses injection-moulding technology to combine ceramic with steel. It's also a milestone for the brand as it continues to hone its designs: fluid, subtle and stylish. The emphasis is on contrast with steel side inserts, ceramic pushers, a steel and rubber crown, and rhodium-plated hourmarkers, counters and hands. 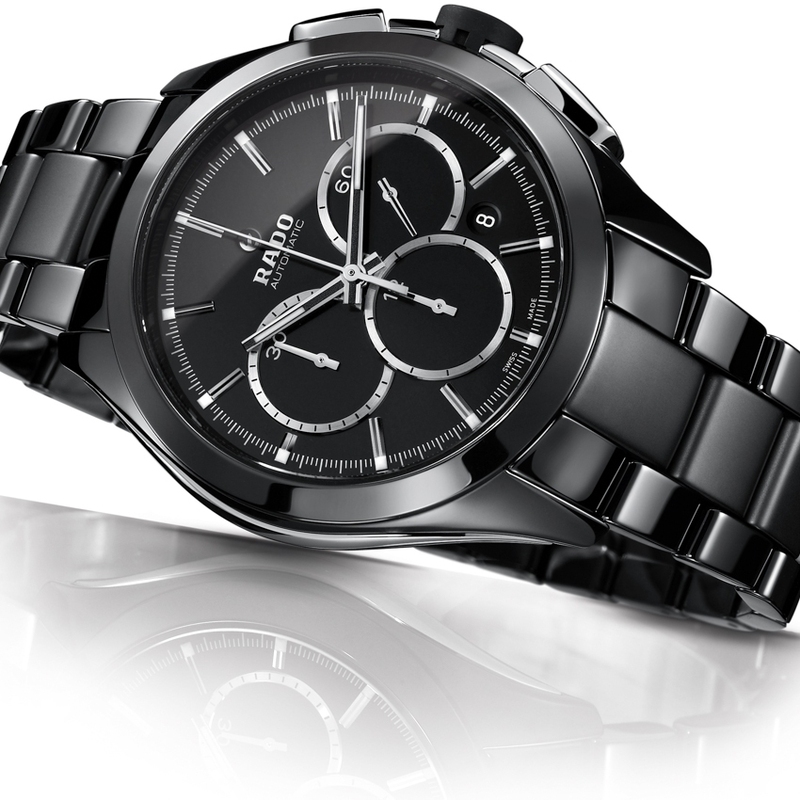 As well as playing on materials, Rado looks to mat and polished finishes to accentuate this watch's sophisticated yet sporting attitude. Hinting at the mechanics, the moving anchor is visible in an aperture at 12 o'clock. This model is also proposed in white or platinum colour, in a collection that boasts 32 versatile and attractive variants.